This is why “Old Europe” is a term of such derision. In the early Twentieth Century Austro-Hungarian Empire, snobbery was at its most severe when applied within the noble classes. Privilege was assiduously protected and innovation was just as strenuously discouraged. The heir-apparent meant to shake things up, but alas, it was not to be. Archduke Franz Ferdinand’s courtship of Countess Sophie Chotek and their tragic final days take on further significance in Max Öphuls’ woefully overlooked but freshly restored 1940 classic, From Mayerling to Sarajevo, which opens this Friday at Film Forum. Obviously, this story will end badly for Franz Ferdinand and Sophie. Everyone should know an assassin’s bullet awaits them in Sarajevo. Those who consider that a spoiler should go hang their heads in shame. The Mayerling reference may not be so obvious, but it was the murder-suicide of Crown Prince Rudolf and his mistress, Baroness Mary Vetsera at the Habsburg hunting lodge in Mayerling that thrust Franz Ferdinand into the immediate line of succession. As the film opens, the current Emperor Franz Josef has resigned himself to Franz Ferdinand role as his successor, despite his misgivings over the younger noble’s reformist inclinations. Of course, it is his professed preference for decentralization and tolerance that makes the Archduke rather popular throughout the empire. It is generally good for business to keep him busy with inspection tours, but that is how he meets the Countess. Sophie Chotek is a noble-born Czech, but that was not good enough for the Habsburgs. Supposedly, only nobility directly related to crowned heads of state were eligible to marry the Archduke. Frankly, their initially meeting goes rather badly, culminating with Chotek giving him a dressing down of sorts, but he loves every minute of it. Soon romances blossoms, but they try to keep it a secret for the sake of the Archduke’s future position. However, their love will not be denied, especially when oily court ministers start conspiring against them. Sarajevo (as it is often more simply known) is one of the oddest star-crossed romances, because it openly invites sympathy for two lovers born into unimaginable good fortune, while it inexorably hurtles towards its catastrophic end. Indeed, Franz Ferdinand and Sophie were a couple worthy of Shakespeare, but Öphuls and a small platoon of screenwriters (including Carl Zuckmayer and Jacques Natanson) do them justice. They also rather burnishes the image of Franz Ferdinand, who is largely considered something of a footnote today. While opinions vary as to the extent of his liberalism, it is hard to dismiss his tentative support for the concept of a “United States of Austria” (duly featured in the film) and the necessary loss of status it implied. 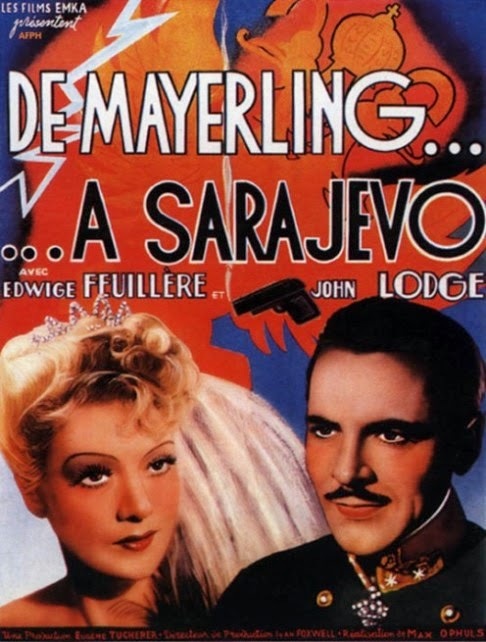 Sarajevo also serves as a worthy re-introduction to American actor John Lodge, who is suitably commanding, yet slightly roguish as Franz Ferdinand. Fluent in French, Lodge (the brother of Henry Cabot, Jr.) is now better known for his political career as a Connecticut Congressman and Governor and later the U.S. Ambassador to Spain, Argentina, and Switzerland. He truly looks the part and develops some believably spirited romantic chemistry with French leading lady Edwige Feuillère. As Sophie, she must walk a fine line between fighting for her man and suffering for her country, but she makes her dilemmas feel quite real and pressing. Watching Sarajevo, we understand Franz Ferdinand and Sophie are not joking when they say the Empire needs him. It is easy to envision a far less turbulent (and bloody) Twentieth Century had he not been assassinated. With the National Socialist invasion imminent, Öphuls clearly invokes his democratic reputation for propaganda purposes, but Öphuls would take refuge in Hollywood, by way of Switzerland and Spain soon after its release. Frankly, it is rather eerie watching how petty concern for court protocol inadvertently led to such horrific macro events. 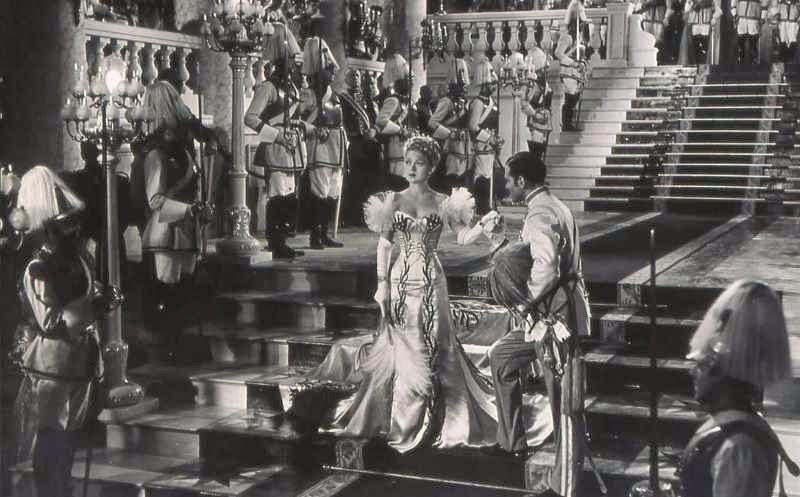 Throughout the film, Öphuls demonstrates a wonderfully shrewd eye for the trappings and architecture of power while portraying the royal romance with humor and sensitivity. Hugely entertaining in ways both grand and hauntingly sad, From Mayerling to Saravejo is very highly recommended when it opens this Friday (3/27) in New York, at Film Forum.